Customizable YES, feel free to ask for extra services or modifications. Breakfast. You will be picked up at 8:15 am. Full day excursion to the Urubamba Valley visiting: The colorful Indian market in Pisac where a mixture of color, tradition will be able appreciated. Pisac is located to the entrance of the Sacred Valley followed by Ollantaytambo. Most people visit Pisac to see the market on Sunday, but there are smaller markets on both Tuesday and Thursday. However Pisac is a pretty village and has plenty of small handicraft shops and is worth a visit on any day of the week as is a good place to buy the local ceramics including a huge and varied collection of hand-painted multi-coloured beads. Lunch in a typical restaurant in Urubamba then we continue with Ollantaytambo which is an attractive little town located at the western end of the Sacred Valley, considered the older town continuously occupied of the American continent is located at the foot of some spectacular Inca ruins which protected the strategic entrance to the lower Urubamba Valley. The narrow streets of Ollantaytambo, along with their channels that have not varied from the Inca time, evoke their ancestral inheritance, and then finish visiting Chinchero. Chinchero is a small Andean Indian village located high up on the windswept plains of Anta at 3762m about 30km from Cusco and is believed to be the mythical birthplace of the rainbow. Its major claim to tourism is its colorful Sunday market which is much less tourist-orientated than the market at Pisac. At the end, return to Cusco arriving at 6:30pm approximately at the main plaza. Early breakfast and at the agreed time, transferred to the station in order to aboard the train that will lead you to the KM104, located in the railroad Cusco-Machu Picchu. KM104 will be our departure point for the adventure. At this point we will leave the train and start walking to the city of Machu Picchu, across the Urubamba River through a bridge that offers a spectacular view of the mountains. During the trip we will make our first visit to one of the Inca sites known as Chachabamba, a beautiful palace with nice walls carved in stone. Then our guide will explain part of the story of the Incas. We will start walking again and start climbing through a mountain totally covered by vegetation, for about 8 Km (4 hours), until we arrive to Wiñaywayna, located at a height of 2700 meters above sea level. After Machu Picchu, Wiñaywayna is one of the most beautiful buildings made by the Incas, at the cloudy forest. 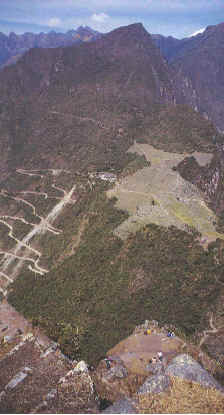 Wiñaywana shows a perfect example of the agriculture during Incas time, showing a great number of terraces, where the Incas used to grow different plants and vegetables, including coca leaves. The name of Wiñaywayna comes from a beautiful orchid which grows in that region and means “forever young”. After exploring this marvelous site we will take our box lunch near to this zone. Later the same day we will continue our walk towards a cloudy forest until the Intipunku or “Sun Gate”. 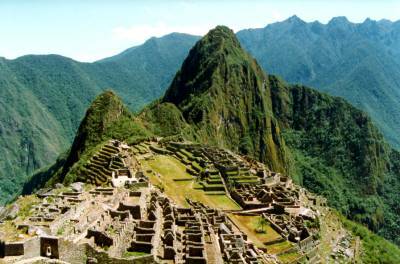 At this point the adventurers shall have access to the most amazing view of the city of Machu Picchu. 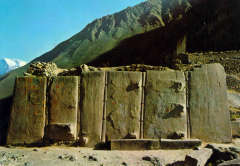 This is a very special site, where we will rest for some minutes and take a lot of pictures of Machu Picchu. After we will descend towards Machu Picchu (the guided visit will be next day) and we will arrive to the town of Aguas Calientes where we will spend the night in the select lodging. After breakfast, we will go to the bus station of Aguas Calientes in order to take the tourist bus that will take us to the Sacred City of Machu Picchu. This short trip takes only 20 minutes and goes through a rural road, very difficult and with a big number of curves through a mountain with jungle characteristics and amazing views. Finally we will arrive to the Sanctuary of Macchu Picchu where our guide will offer us a walk through the most important points of this beautiful Inca city, visiting the most important parts. Later the same day each passenger will be able to explore the city on his own. You can have lunch just outside the ruins or take a bus to the town of Aguas Calientes where there are plenty of restaurants to suit all budgets. 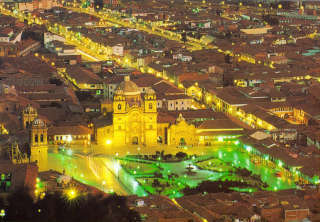 In the afternoon return to Cusco City. Reception at the train station and transfer to your accommodation (B). -Entrance fee to Machu Picchu Sanctuary. -First aid kit, bus tickets. -Fee entrances to the hot springs. -Snacks: biscuits, energy bars, chocolate, etc. NOTE: You will need to leave your extra luggage in the Cusco hotel, all the lodgins in Cusco provide a secure luggage deposit. Put any valuables in their safe box. * Participants need to be in good physical health and condition to be able to enjoy the Inka Trail. The trekking will be difficult if you have not exercised regularly before your trip. To fully enjoy an Inka Trail adventure, we advise passengers to get into an exercise program for their own safety and enjoyment. If a passenger suffers from any medical condition, we advise him/her to consult a physician about joining an Inka Trail Expedition. We will buy your Inca Trail trek permit using the names & passport numbers that yo will send us with your trek booking application. You must bring these same passports with you to Cusco and take them on the Inca Trail. If the name or number in your passport are different from the name and number on the trek permit, the government authorities will not allow you to start the trek and you will not be entitled to a refund. Breakfast and according time, transportation will be provided to go the airport (B). INCLUDES: All hotel and lodge accommodations based on double or single occupancy. All scheduled transportation. All transfers. All scheduled excursions with English-speaking guide services. All entrance fees. Meals as specified in the itinerary. B=Breakfast; L=Lunch; D=Dinner. IMPORTANT: For a better service, the company informs you that it has autonomy to change the Hotels mentioned in the itinerary with another one of similar category if therefore sees it by advisable taking into account justifiable availability of spaces or other reasons, if this it is the case you will be notified ahead of time. International and domestic airfares, airport departure taxes or visa fees, excess baggage charges, additional nights during the trip due to flight cancellations, alcoholic and non-alcoholic beverages or bottled water, snacks, insurance of any kind, laundry, phone calls, radio calls or messages, reconfirmation of international flights and items of personal nature.